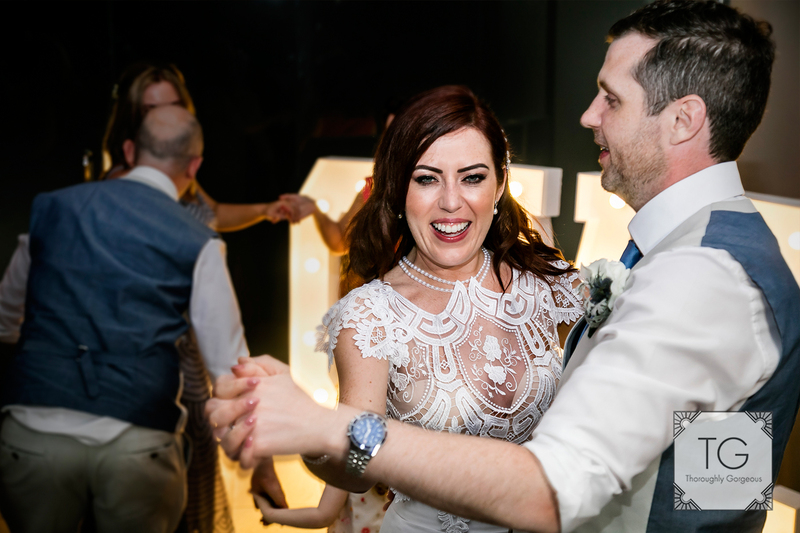 My first blog post of the 2017 season wont necessarily be the first wedding I have shot this year but more of a special one for a good reason. 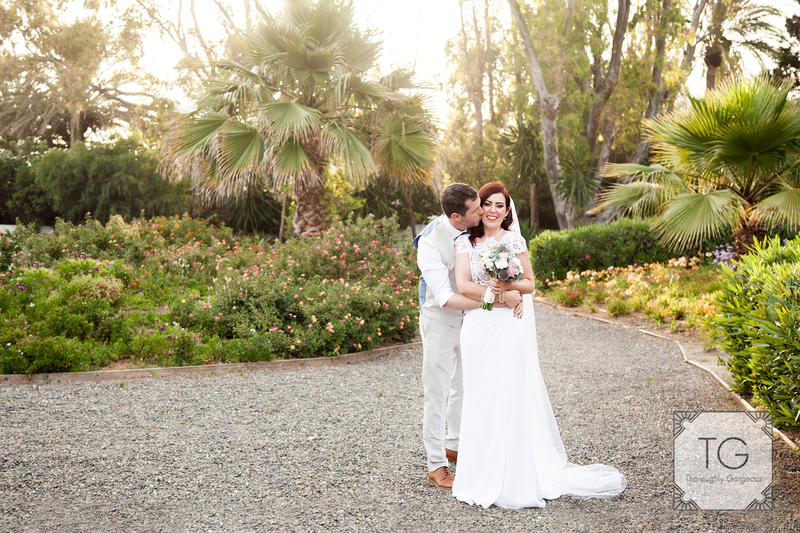 Last year in August we had very hard news about a local wedding photographer and friend, David Toms. 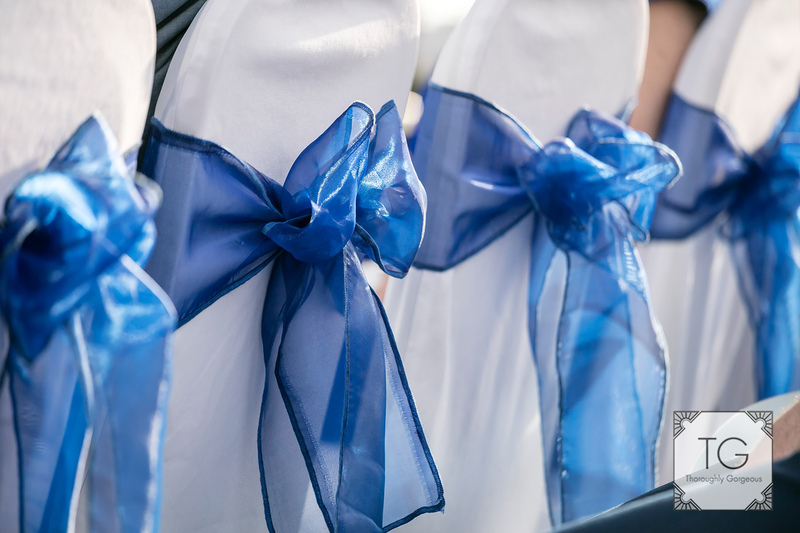 He had a bad accident and was not able to be present at a few of his weddings. 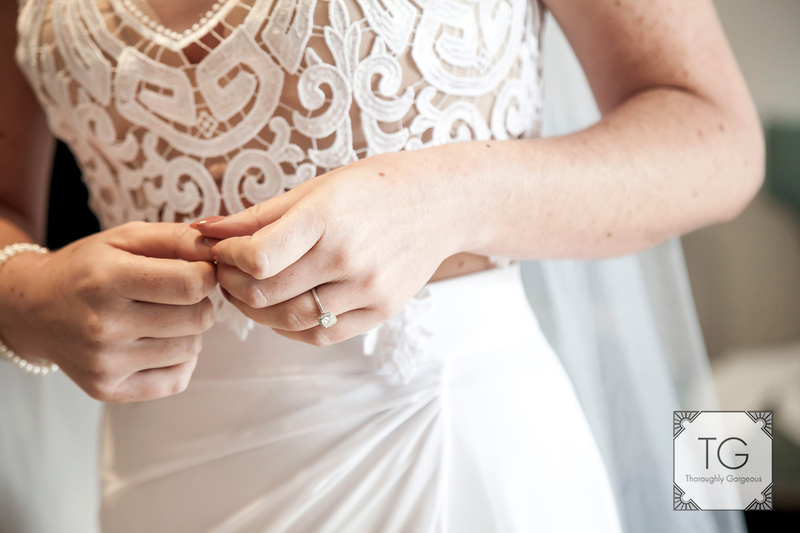 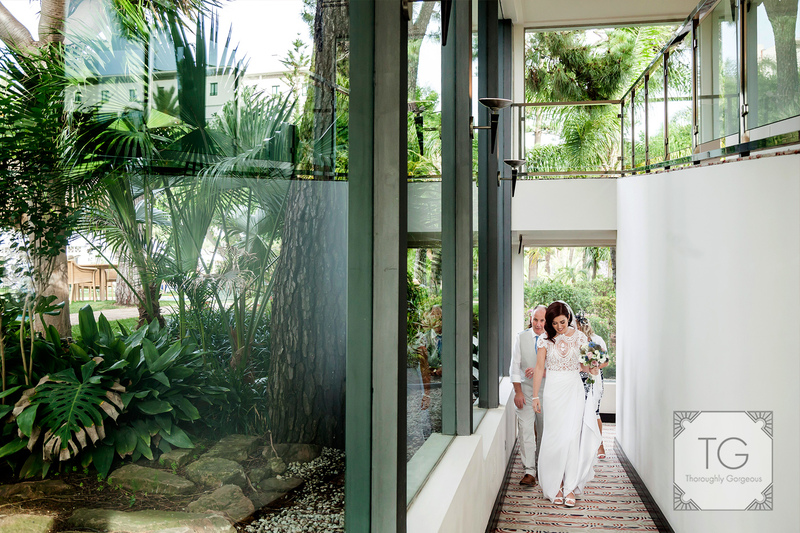 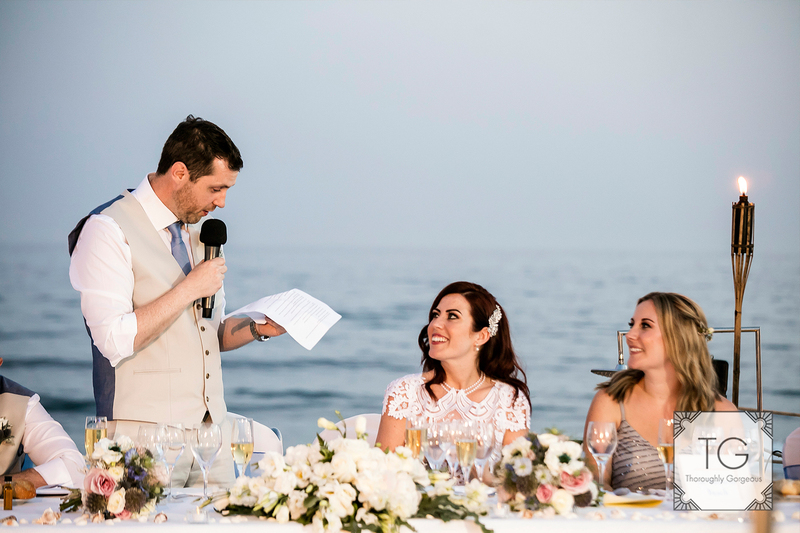 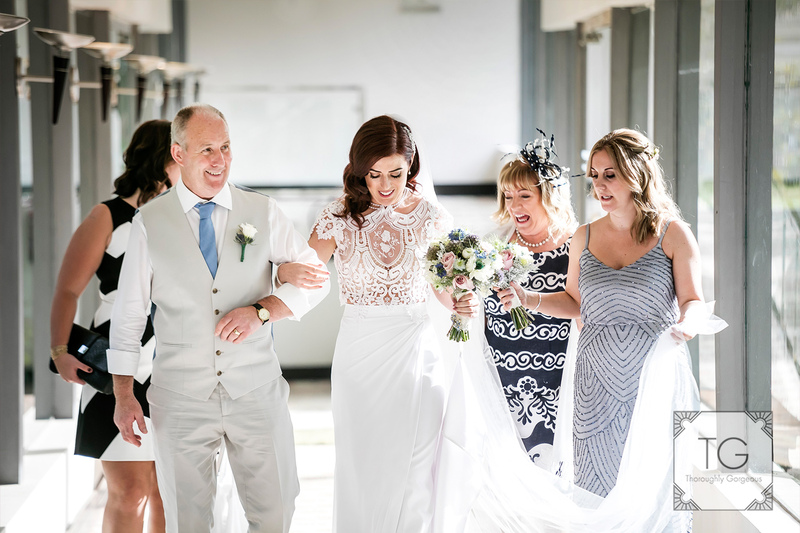 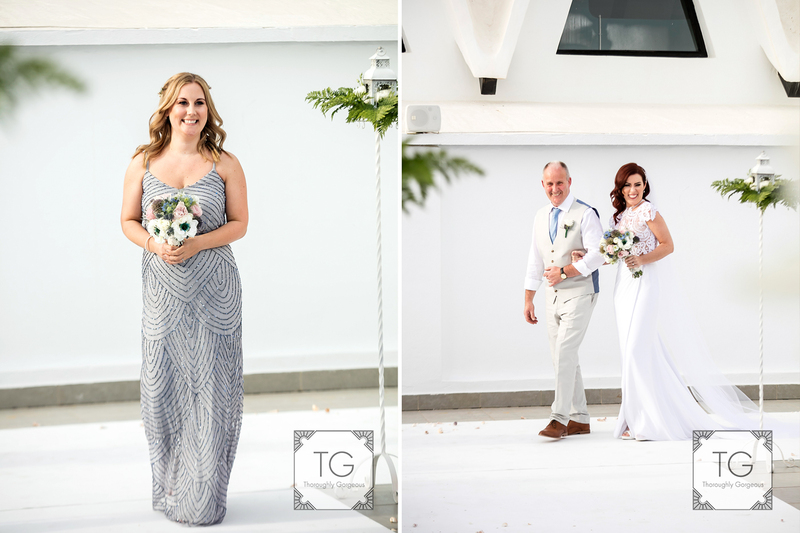 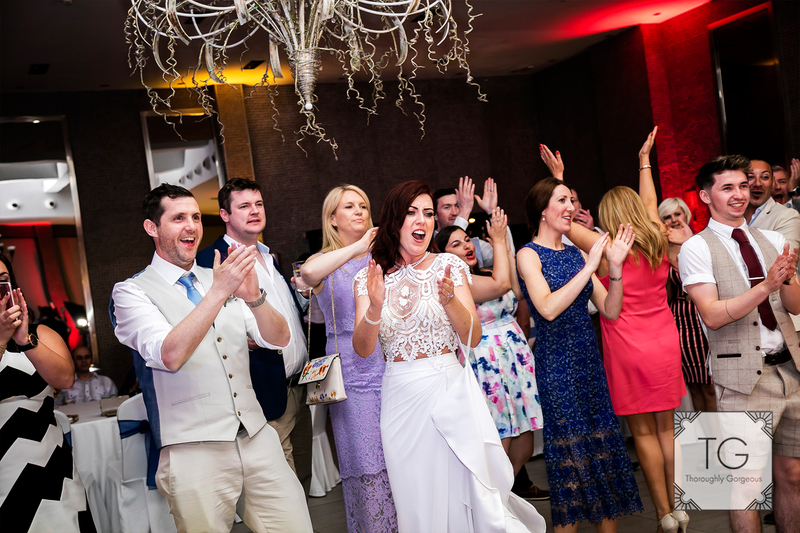 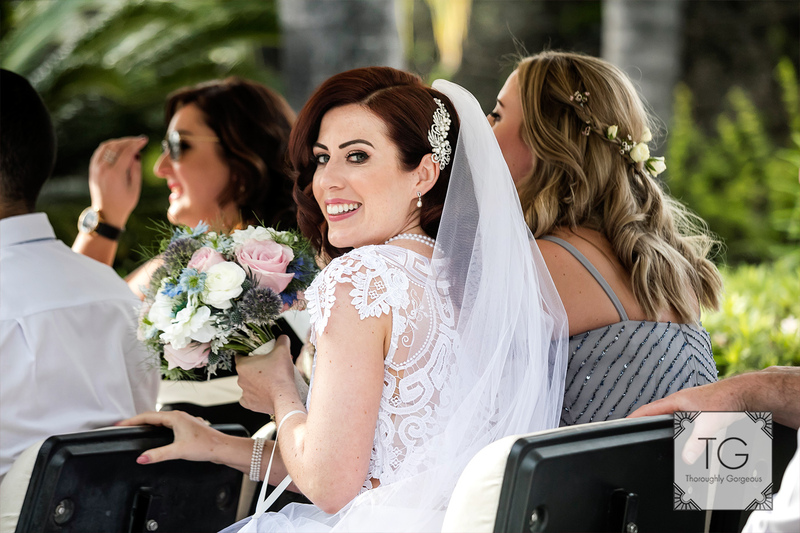 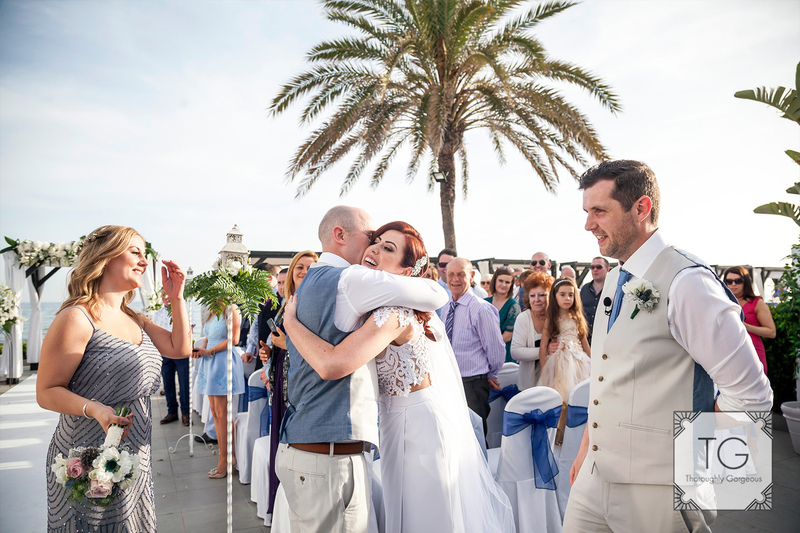 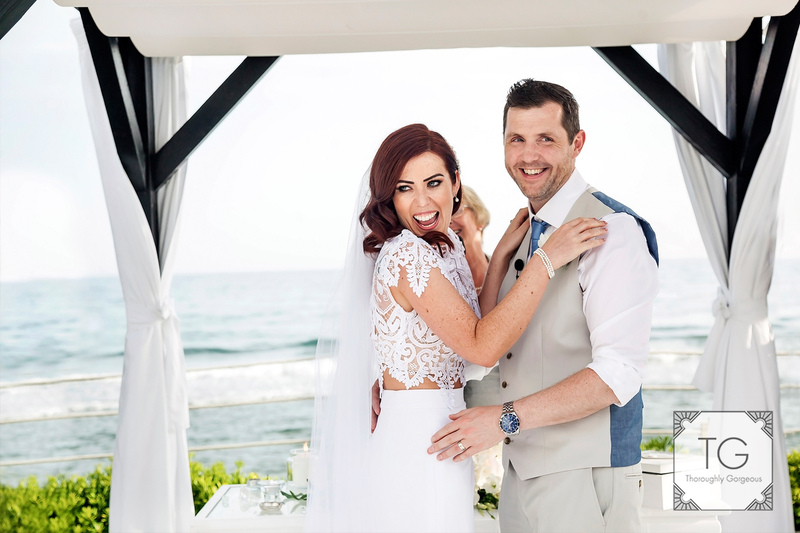 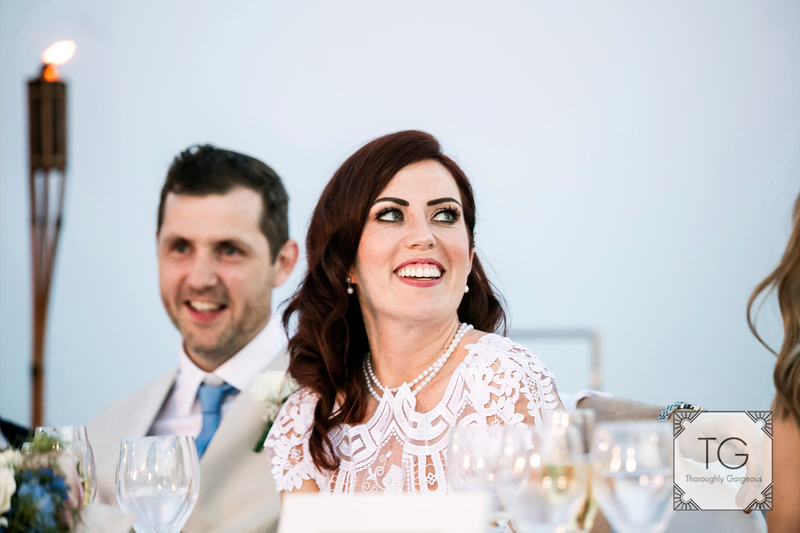 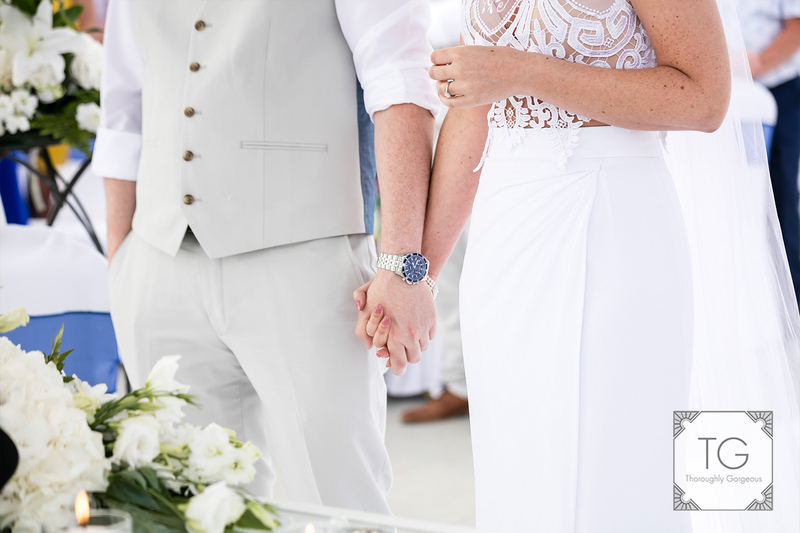 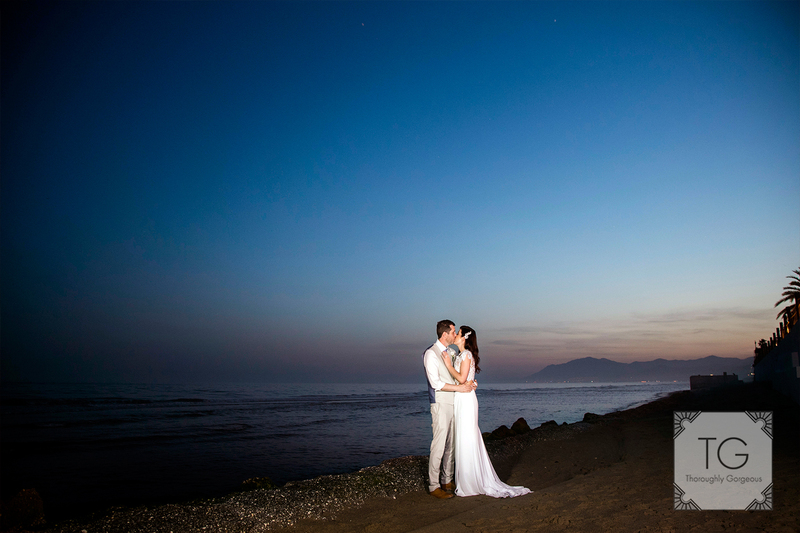 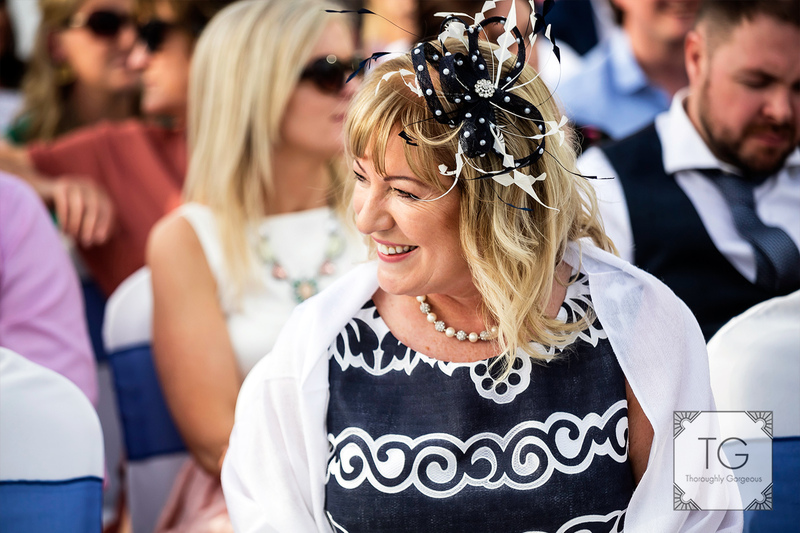 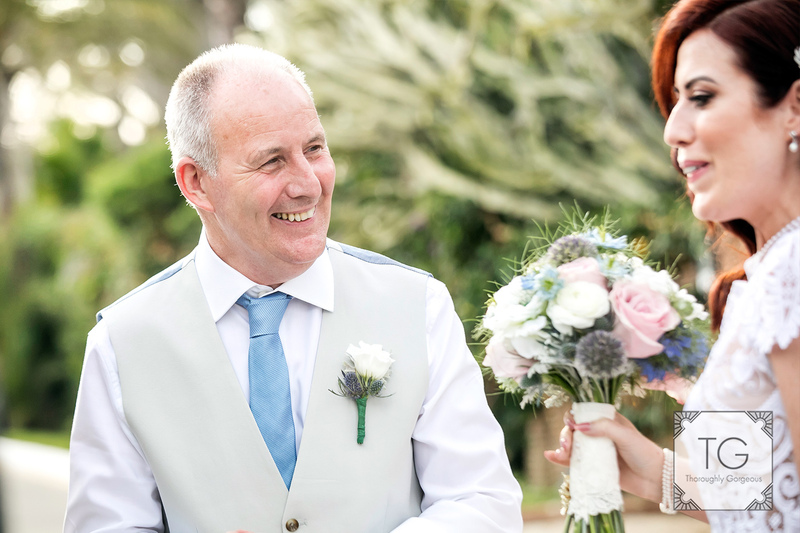 The lovely Lisa from Bella Weddings in Spain called me and rebooked me for the wedding of the gorgeous Debbie and Niall who had their big day at the elegant La Cabane at Los Monteros Hotel in Marbella. 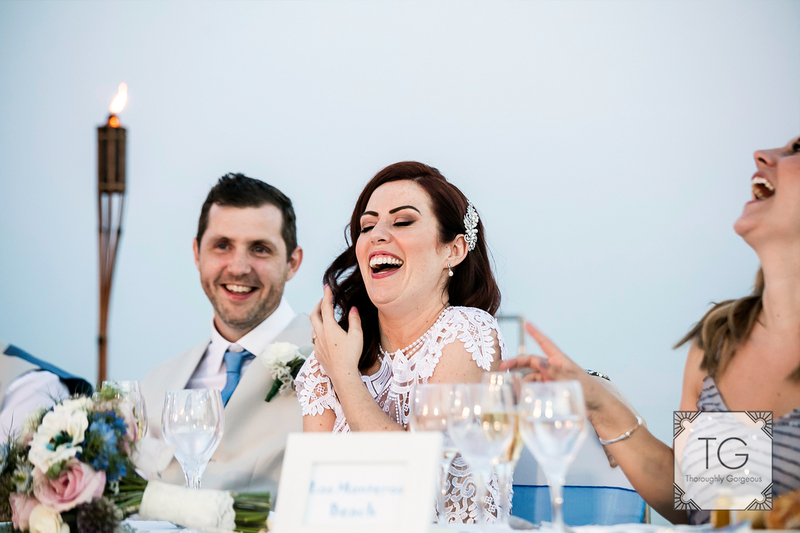 Many couples who hire me do so because they want candid shots, natural colours and a discreet approach, thankfully this was exactly what Debbie and Niall were looking for. 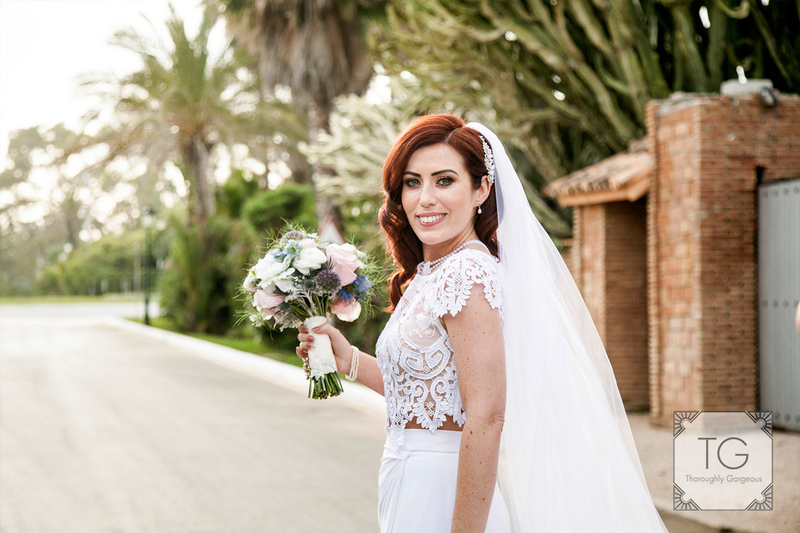 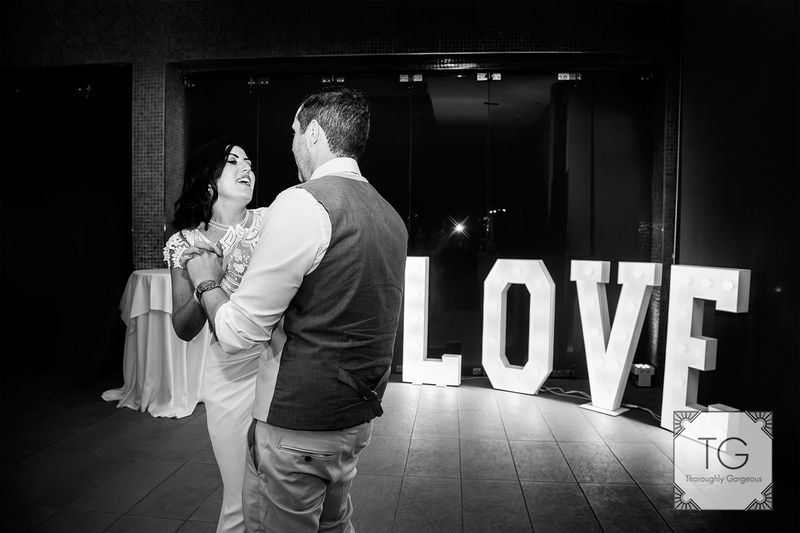 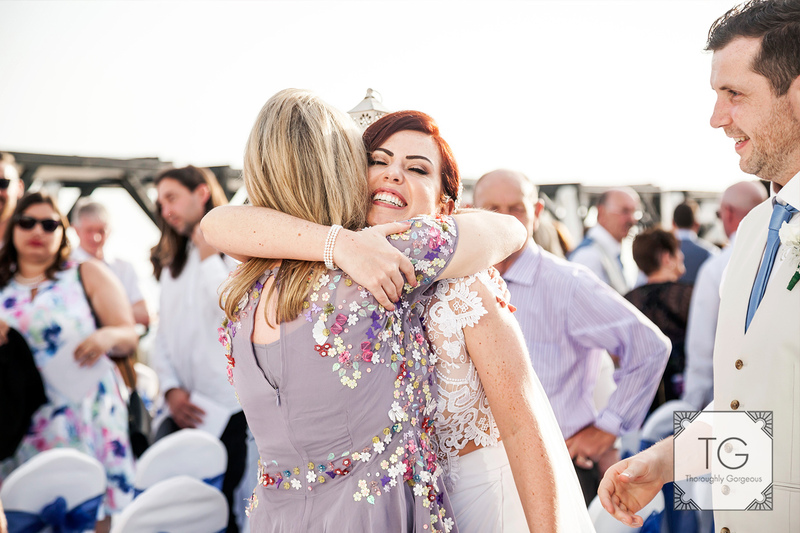 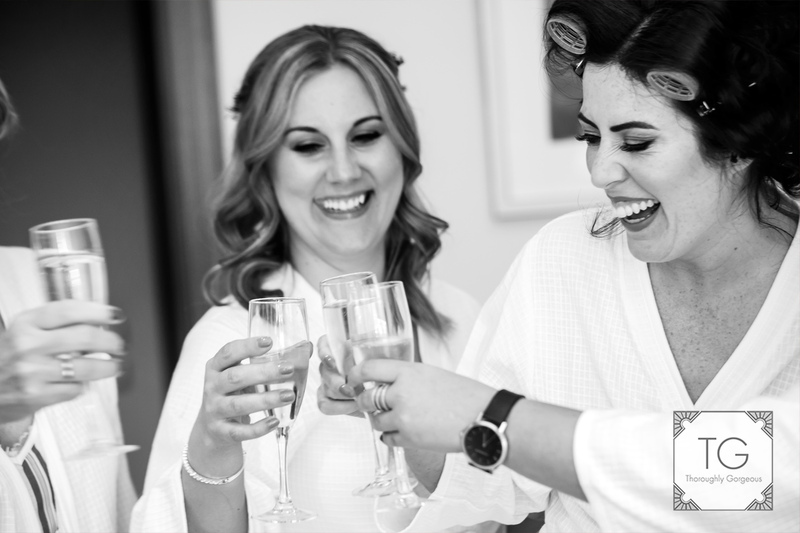 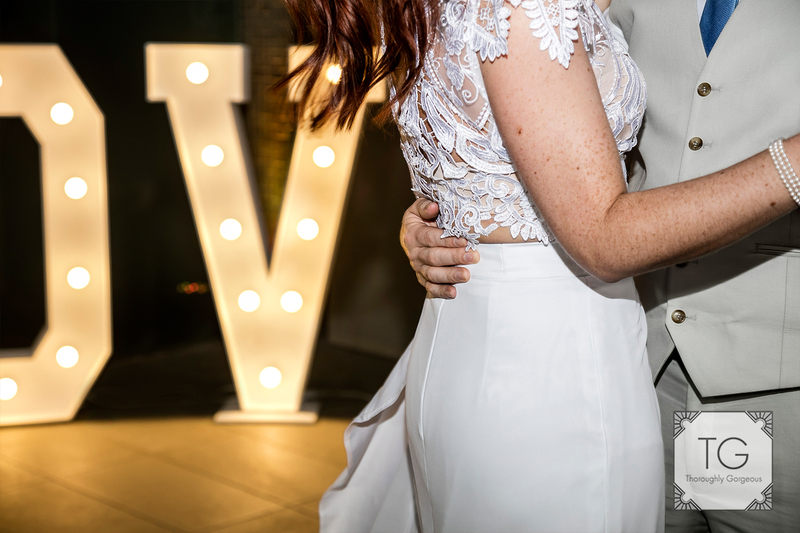 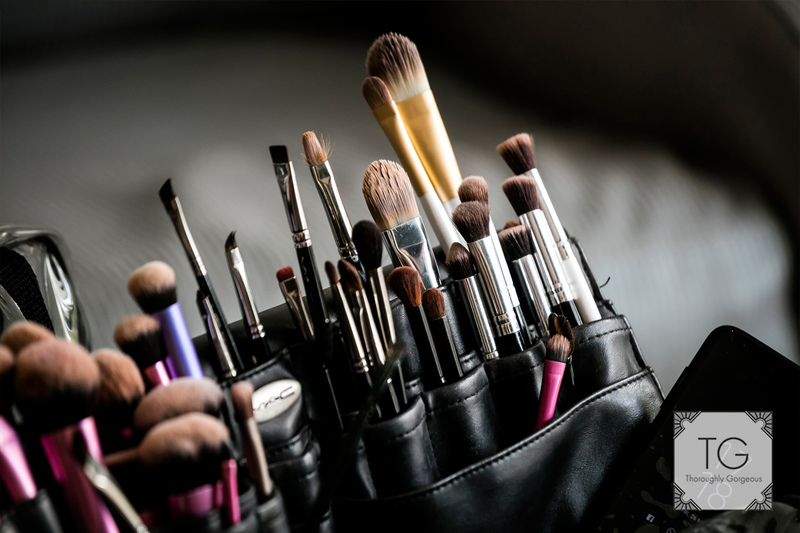 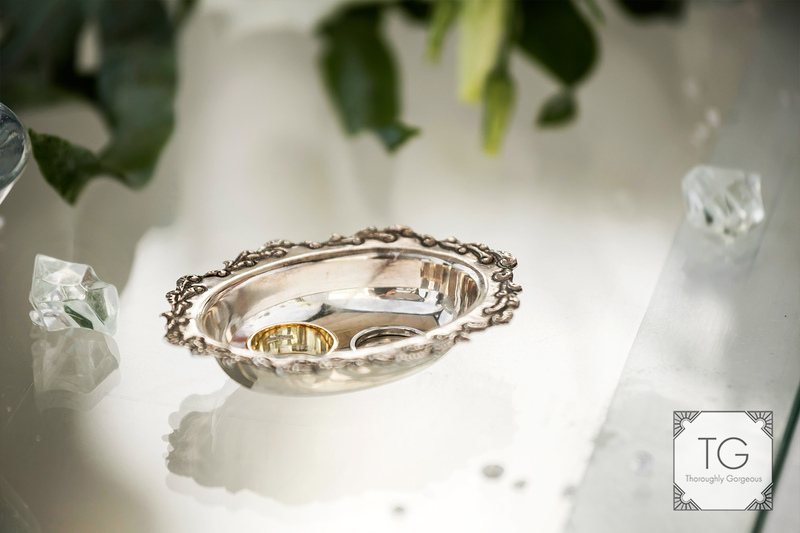 One of the hardest jobs for a wedding organiser is partnering clients with suppliers and Lisa s experience helped put everyone at ease. 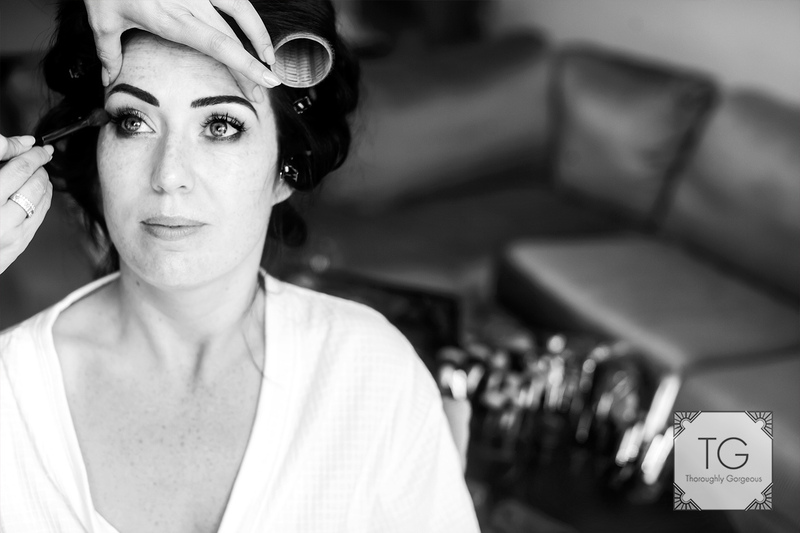 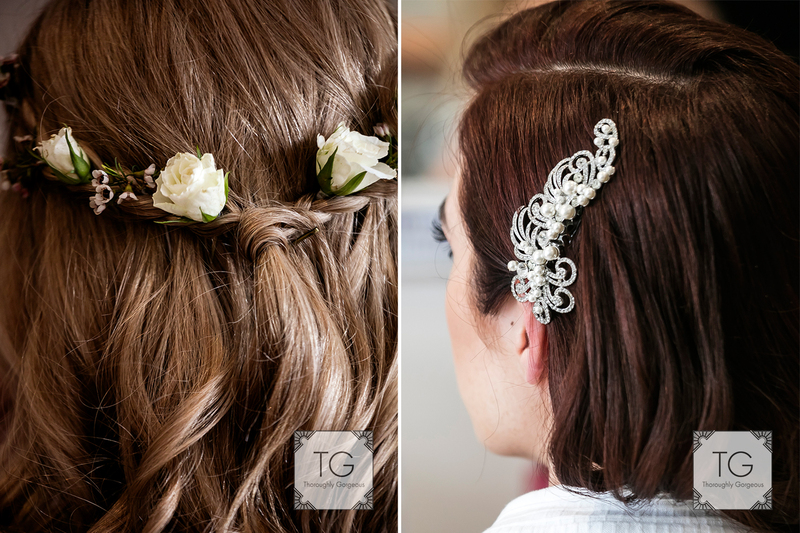 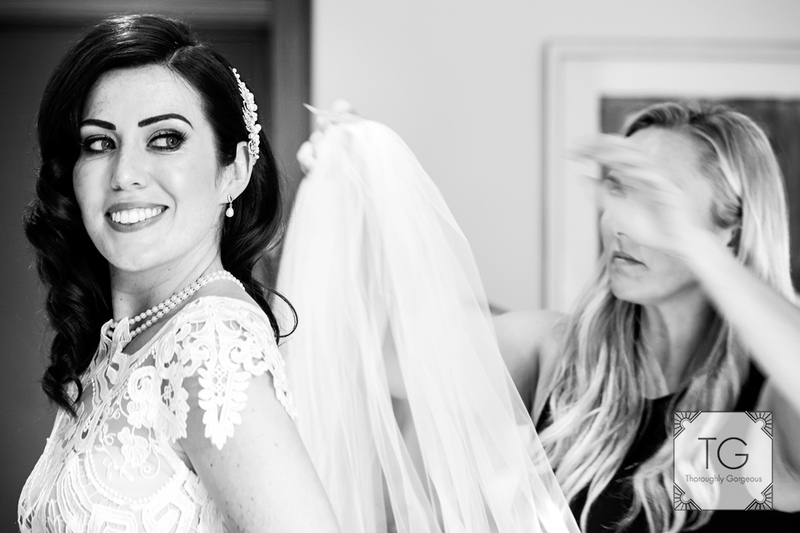 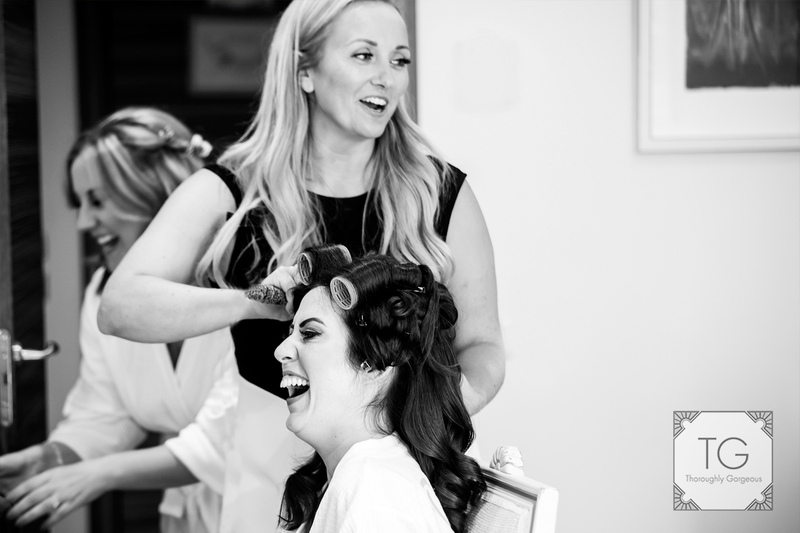 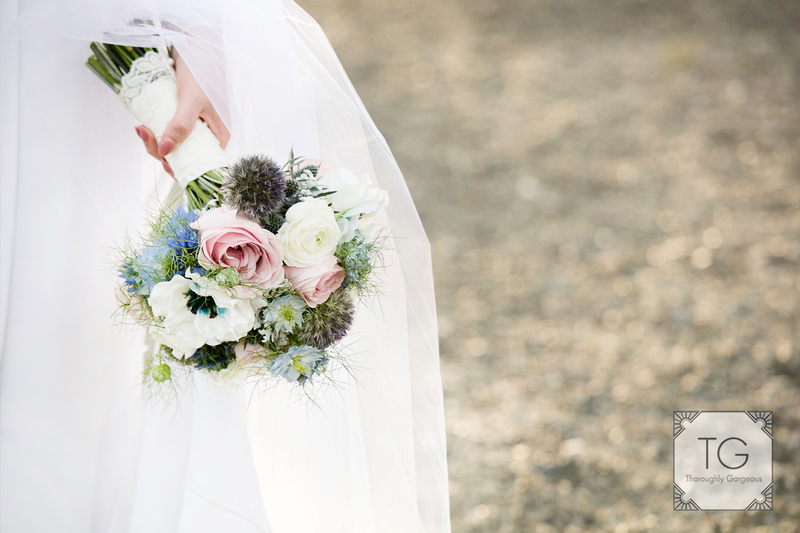 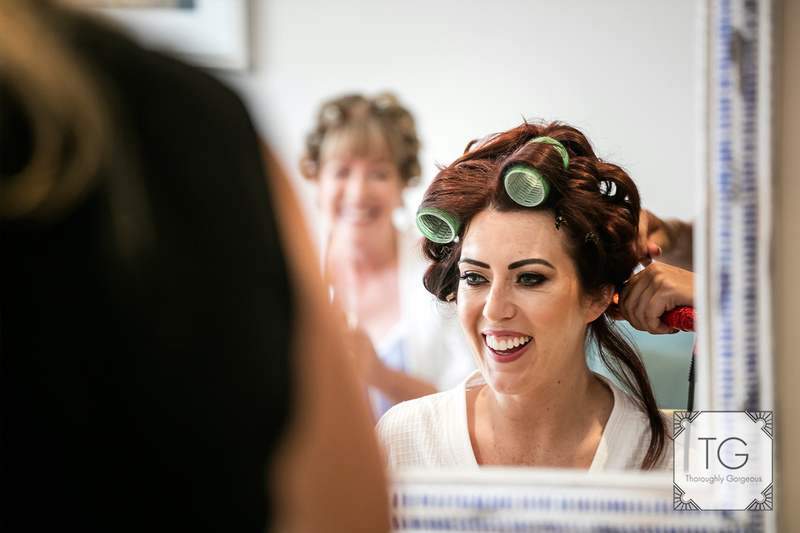 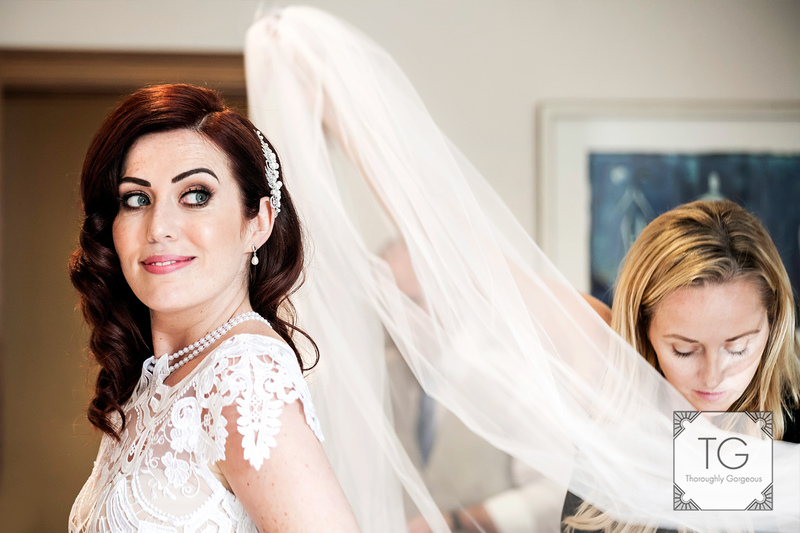 Debbie was s super organised bride and with the help of her blue file had sorted all the weddings details out, which made for a nice relaxing day were everything had be taken care of. 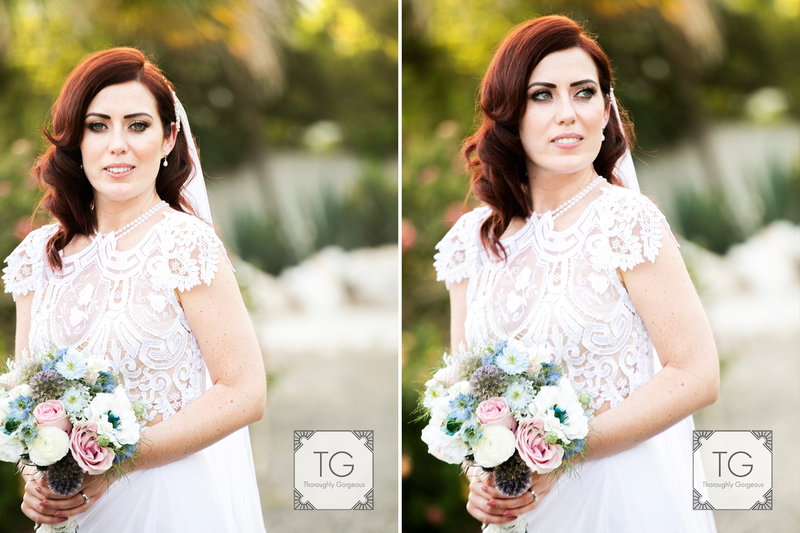 With her striking hair and eye colour combination, her elegant dress and a bright smile she was a stunning bride to photograph. 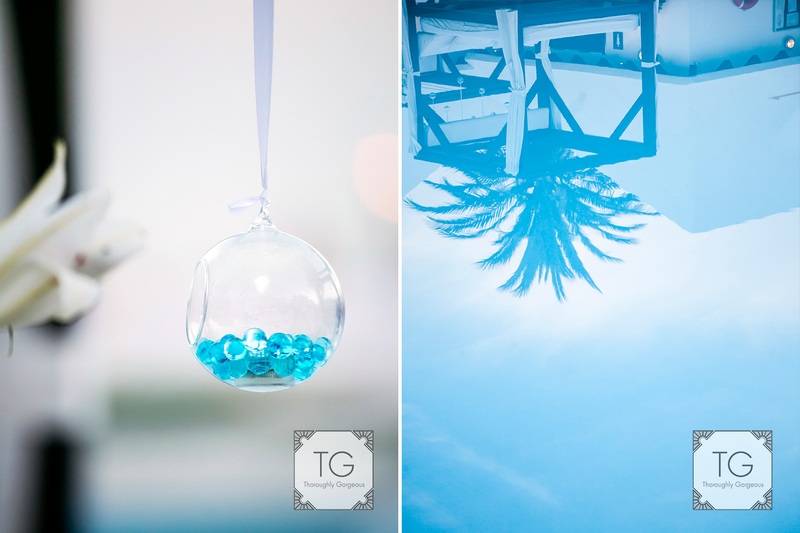 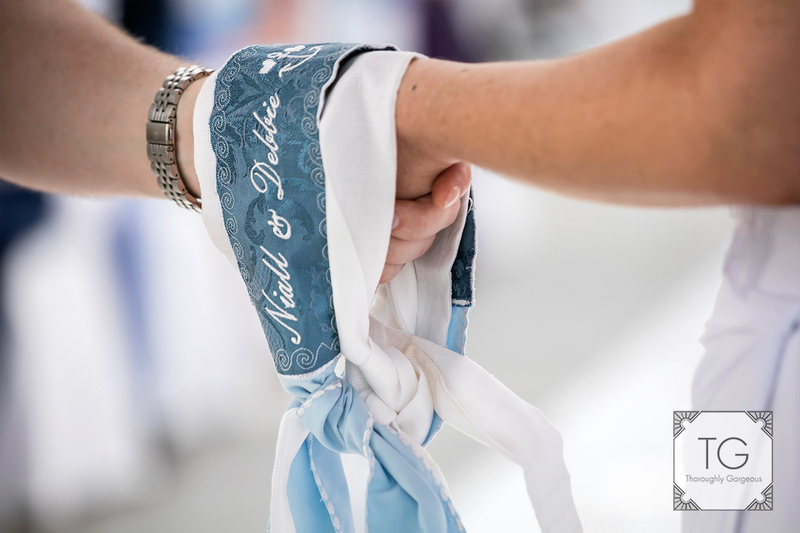 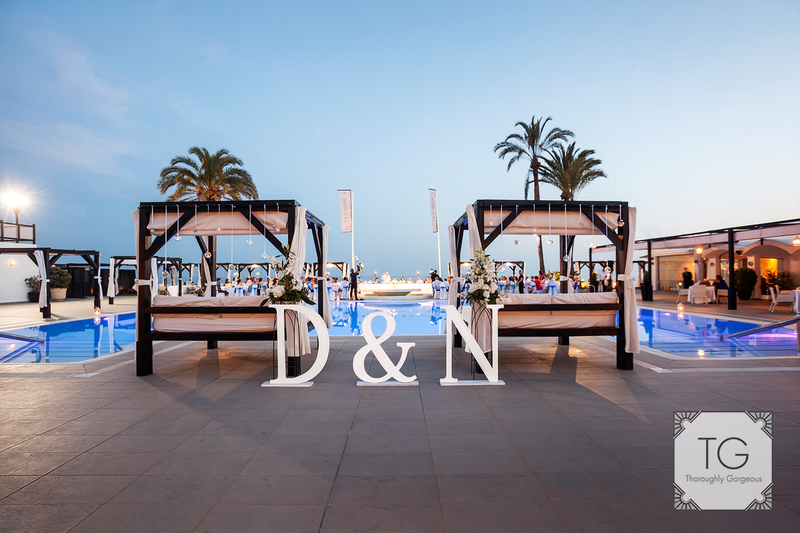 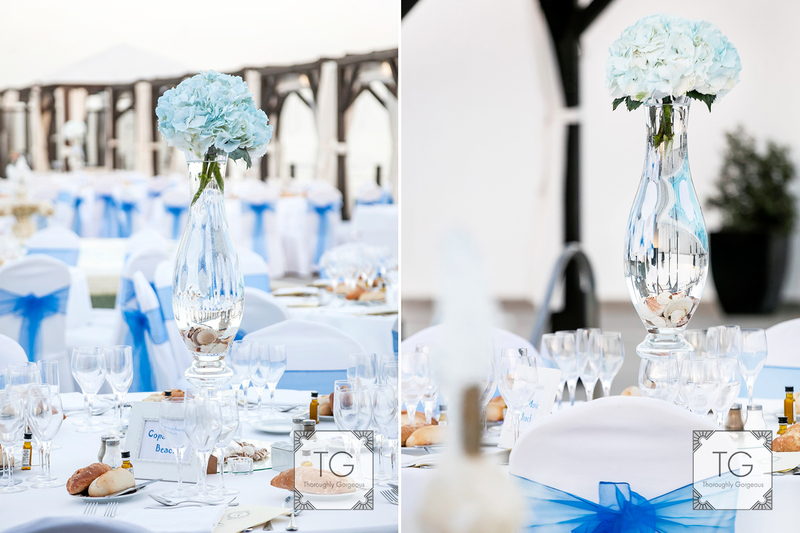 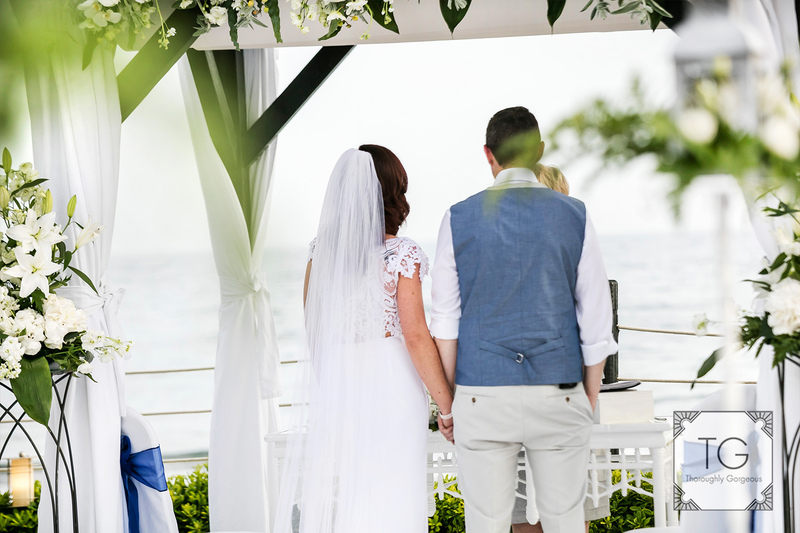 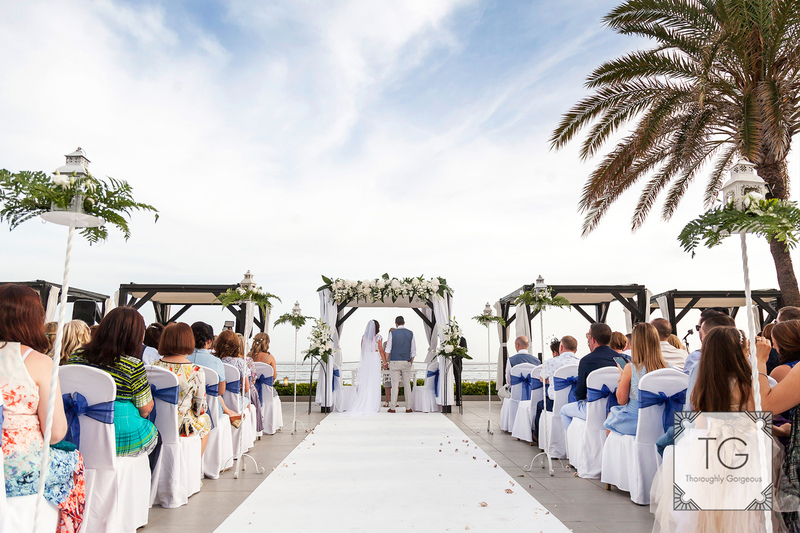 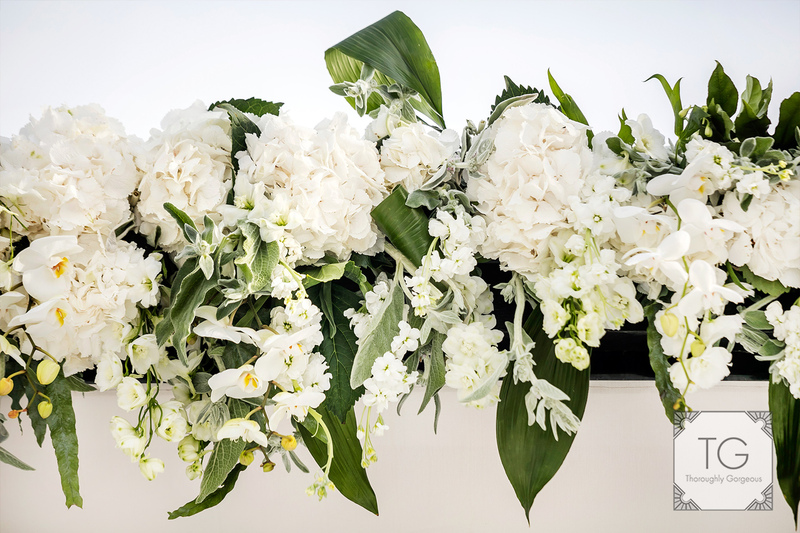 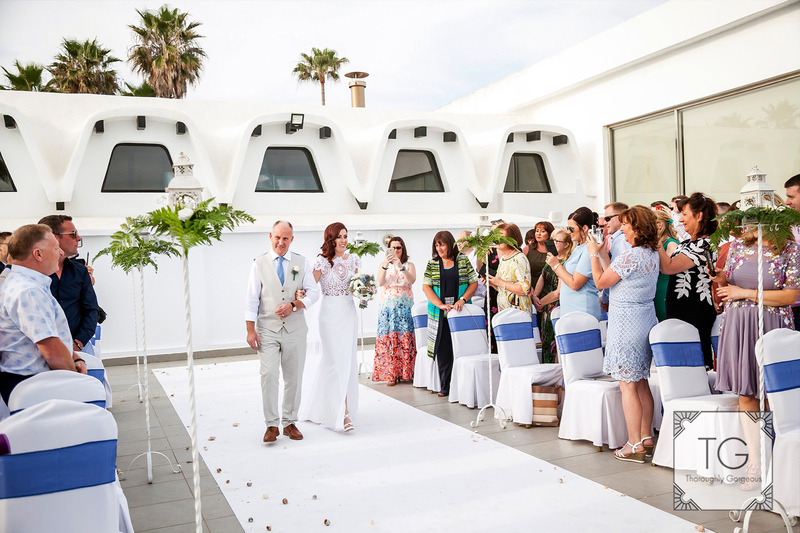 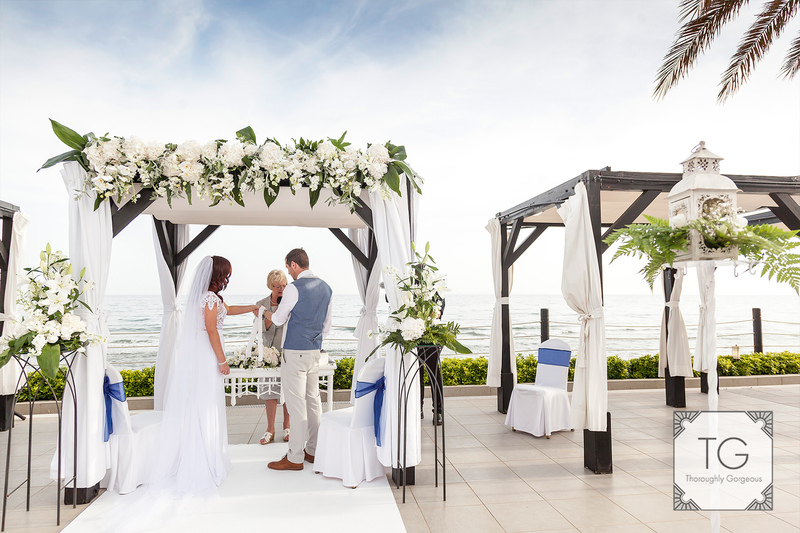 The ceremony was again a lovely elegant affair where white and blue were used in the decoration to match the amazing sea views from the La Cabane beach. 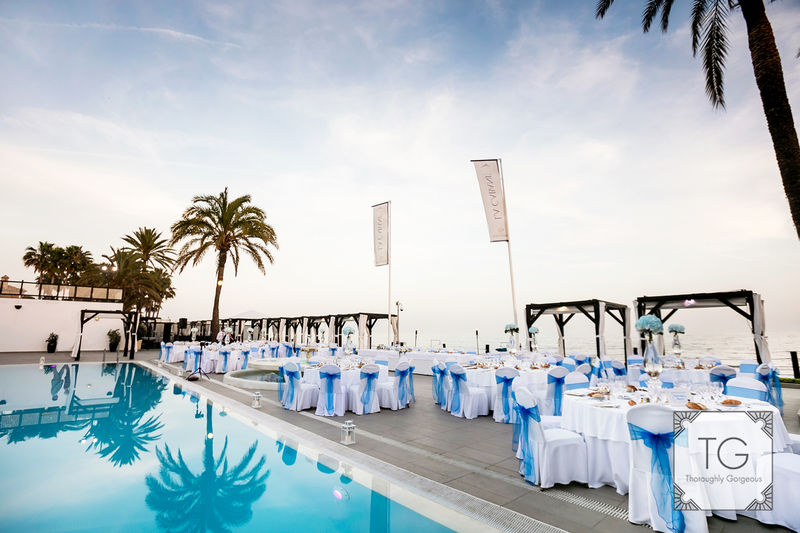 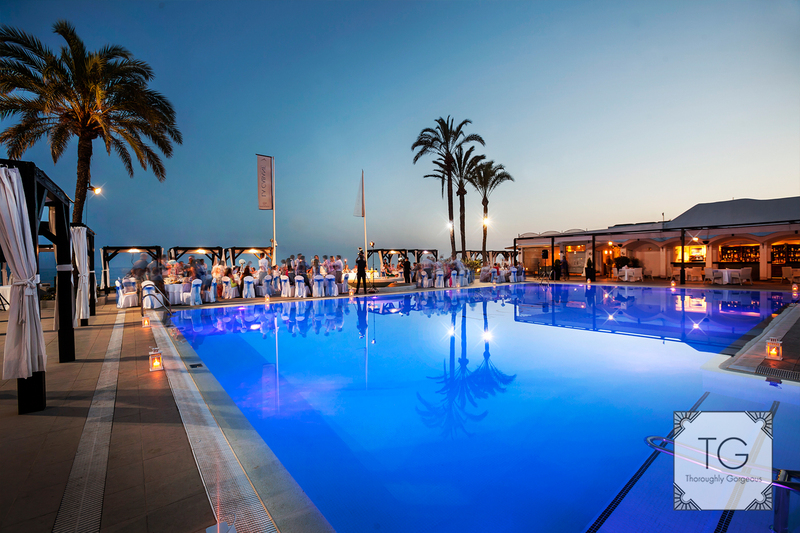 The blue theme was followed at the dining area which at La Cabane always leaves guests speechless. 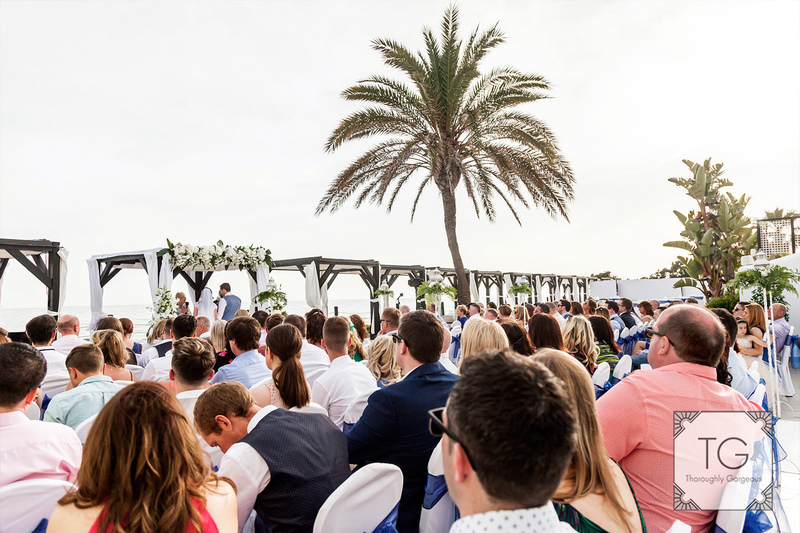 Niall and his best man s speach were funny and touching as was Debbie s dad who brought a few tears to the guests and their lovely families. 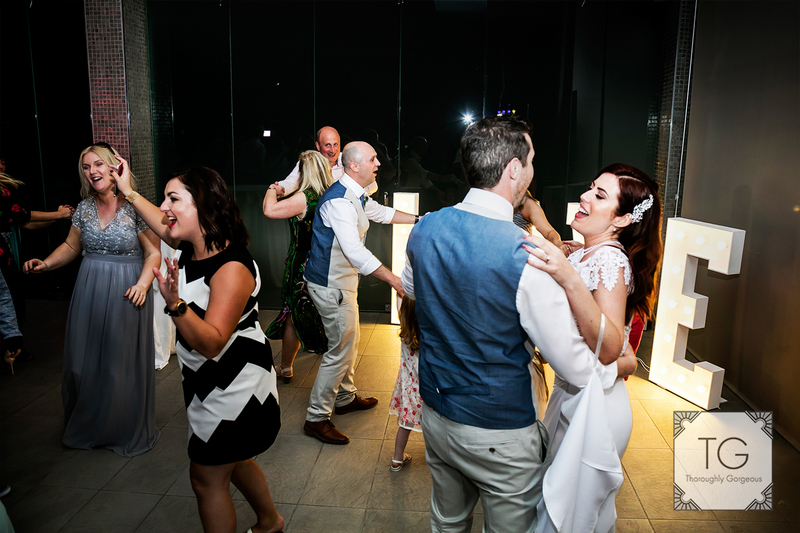 Once dinner was over it was time to party and party they did! 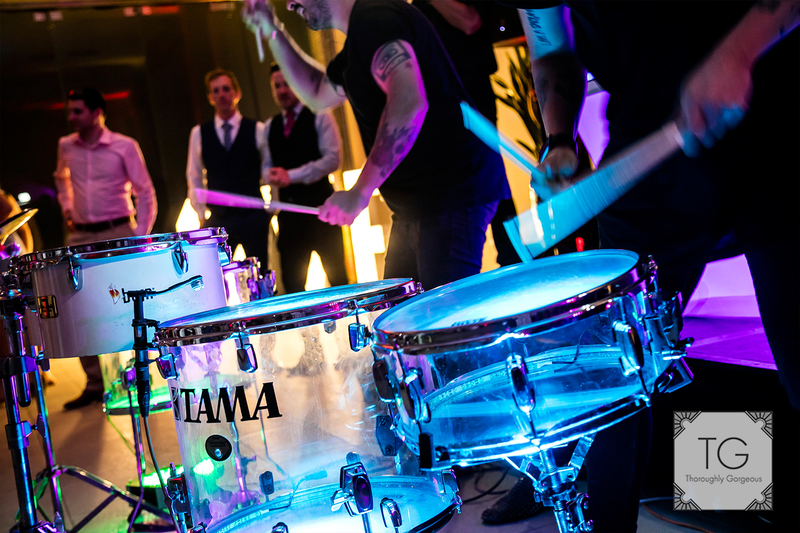 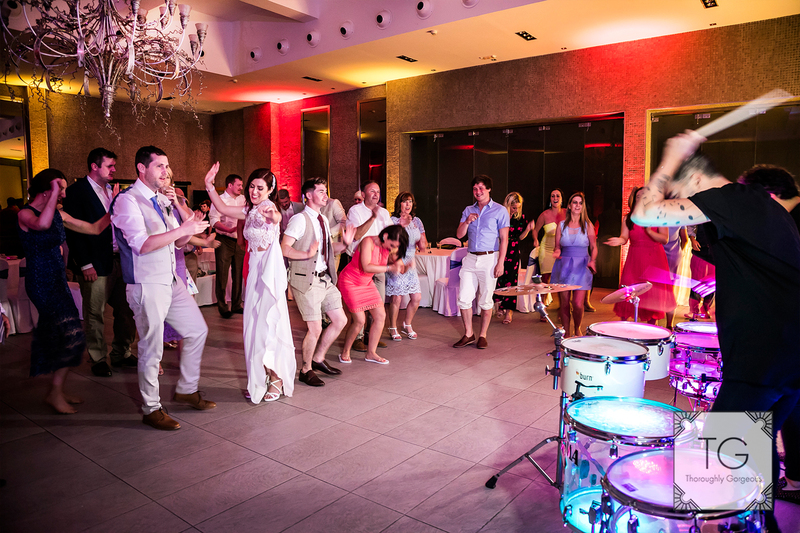 after the first dance the drummers came in and gave everybody, young and older, a great time playing to the DJ s tunes. 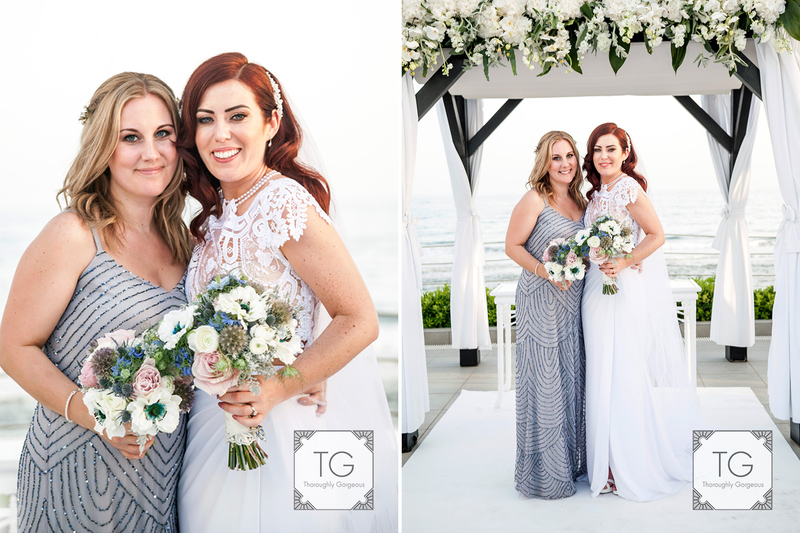 Thanks again to Lisa for matching me with her lovely clients and to David, Kevin and I send him all our love as always.